What Do We Mean By eLearning Automation? Commonly, automation stands for minimizing or eliminating human interaction in a process. With the development of technologies, automation had an impact on every industry. We take many automated processes as a usual thing. For example, you sign-up for any software online and immediately receive welcome Email with your name included, after making a purchase the receipt is instantly sent to us. It’s a basic example of an automation process that includes email marketing and payments, but there is more in online learning. The most common implementations of automation are quizzes generation, answers check, providing a student with immediate feedback and instantly showing results without human interaction. 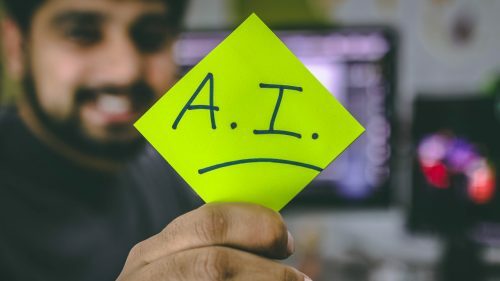 The future of elearning automation is behind artificial intelligence (AI), where the learning process will be personalized to each user and the system will adapt to students performance. We have talked about it among elearning trends for 2019. Automation helps more effectively format and distribute content to users. For example, before starting a course, a student can take a quiz for the system to understand what areas the student is familiar with. The platform can then tweak the course modules according to the learner’s level of knowledge. Such an approach increases engagement and helps learner stay interested and move through the course quickly. Moreover, LMS can generate quizzes and exams from your assessments and create a unique learning path for each student. If talking about corporate training, automation can save time for managers and HR departments in the way that employees are automatically enrolled into the right training modules for them. You can automate announcements of new courses and modules as they are published to save yourself time on manual sending and students benefit in staying up to date. Educators can automatically be notified with who and when have passed or failed test and immediately sent their results. In addition, learner satisfaction surveys can be held automatically and generate reports for you. Automation of some elearning processes don’t just save time and money, it can completely transform the learner experience and make it more personalized. We have seen personalization in work on YouTube and ecommerce industry, it’s time to start implementing it in elearning. For example, the learner fails a quiz. After that the system is triggered to send an email with some additional materials covering the topics, a student has failed on. Moreover, a user of your elearning platform can be enrolled to an additional course according to his final exam results. Students will have their own learning paths and can learn on their own pace. Modern technologies allow automating even such human tasks as support and Q&A. You can save yourself a lot of time and reduce the number of employees by creating rich FAQ page or even whole help center with search function as we have done for one of your clients. In addition, chatbots can better customer satisfaction with an instant answer to questions. It is possible to create automated report delivery and moreover, in different formats. For example, you would like to have a monthly report of your course performance in PDF format and Excel table with financial reports. In addition, they can be automatically sent to your inbox each month. Your platform’s integration with CRM can bring your business to the next level and we are not talking about just managing your customers. By monitoring learner performance and discovering patterns, CRM can bring valuable process automation. For instance, some of your students abandoned learning on some module, CRM can detect that and send an email to users for encouraging them to continue the course. Customer relationship management allows to control the stages, students are on and interact with them with relevant information. This also provides students with personalized experience. Elearning automation can save you time, money and create a personalized experience for your users. As a result, the performance of your course or training should increase and the learners get better results as the system optimizes for their own pace and level of knowledge. The post How to automate elearning project operations to save time and money appeared first on eLearning. Buzzwords and clichés – those are stock and trade. There’s nothing wrong with them. Love them or hate them, buzzwords are a fact of life. Here one year, gone the next, they emerge from the public conversations we have in our professional lives, and the eLearning profession is no exception to the buzzword phenomenon. This article is the first of three posts that present the cold hard results of a search for the hottest buzzwords eLearning professionals are using in 2018. The goal was not to chart or predict trends, which has been well addressed elsewhere (cf. Suresh Kumar), but to find out the terms most used by eLearning professional today. While not a scientific study, information on buzzwords was collected in a systematic manner. Candidate buzzwords were gleaned from a Google search of eLearning posts between January 1, 2018 and August 18, 2018. The prospective buzzwords were entered into Excel and then ranked according to their frequency. A total of ten buzzwords made the final list of ten. However, there were some that didn’t make the cut that bear mentioning. And so, we begin part one with the honorable mentions. 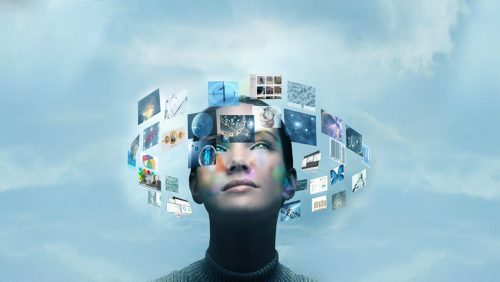 Wearable technologies are digital devices integrated into clothing or worn as accessories. 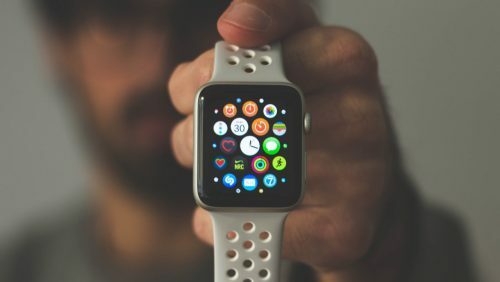 Wearable technology is a hot market, and Statistica estimates that it will grow to 830 million users world-wide by 2020. 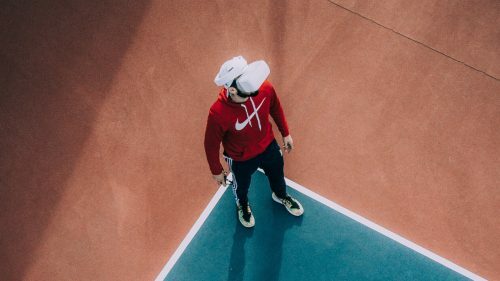 You are likely familiar with wearable technologies, such as virtual reality headgear and smartwatches, but the technology extends to such intriguing innovations as smart fabrics that have the potential to be used in physical education to monitor athletic performance. Learning Management Systems (LMSs) appeared several times in the search results. The focus of the buzz surrounded innovations in LMSs that allowed better integration with other systems, high level customization and greater flexibility to enable personalized learning. Experience API (xAPI) was mentioned as an important feature for LMSs in that it allows the exchange of data between platforms, such as smartphones and computers. xAPI provides a set of eLearning specifications, much like SCORM. However, as noted by Katrina Marie Baker, xAPI allows tracking both on and off the LMS through the use of learning record stores. Both Adobe Captivate 2017 and Captivate Prime are enabled for xAPI. Massive Online Open Courses (MOOCs), much like the name suggests, refer to courses that are administered online, have large numbers of students and are “open” to anyone that wants to attend. 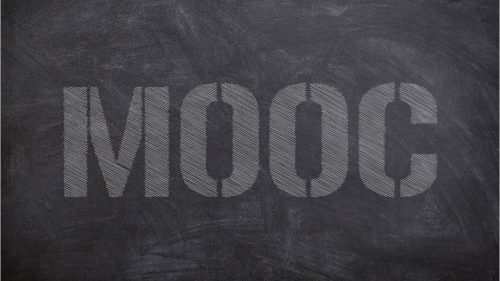 The proposed benefit of MOOCs is the capability to reach more students at a reduced cost. Fiona Hollands cautions that there are a number of issues surrounding MOOCs, not the least of which is lack of agreement on the definition. For example, MOOC is often used to refer to programs that are small or not “open” in that they charge for participation. Another issue is that MOOCs work for some students, but not others, suggesting more needs to be done to enhance student engagement. Bring Your Own Device (BYOD) is the practice where students use their own devices in a learning session. 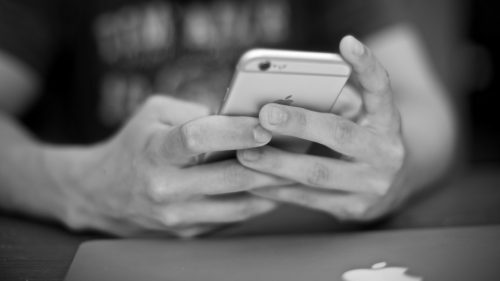 Though BYOD can involve any device, Asha Pandey suggests that BYOD may prove especially useful in mLearning as smartphones are so widely used. 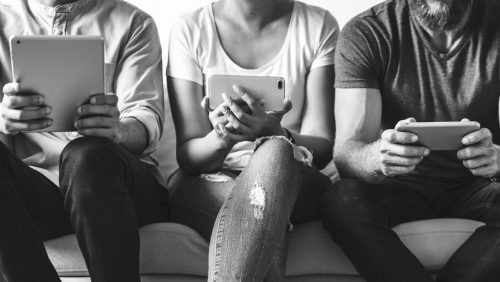 Proponents of BYOD claim benefits such as reduced delivery costs and better performance due to the learner’s familiarity with their laptop, tablet or smartphone. However, these benefits may be offset by issues surrounding security and device support. For example, developers will need to produce and deliver content in a manner compatible with numerous types and manufacturers of devices. So there you have it, the four honorable mentions that did not make the final list of 10 eLearning buzzwords. In the next installment, we’ll take a look at five of the hottest eLearning buzzwords, starting with Number 10 “Content Curation”. Stay tuned. The post The Hottest eLearning Buzzwords for 2018 – Part 01: Honorable Mentions appeared first on eLearning. The post Compliance Simplified: Using Creative Instructional Design Approaches To Instill The Spirit Of “Why Comply” appeared first on eLearning. These trends and predictions help reproduce approaches that align better to the way employees learn, influence and improve employee performance, measure performance gain, and bring in better ROI. The post Mid-year Review: Updated eLearning Trends for 2018 appeared first on eLearning. The post Promoting Informal Learning at the Workplace—Featuring 5 Examples appeared first on eLearning. There is no doubt that animation has the power to take anyone into fantastical worlds and varied realms for a range of purposes. Over the years, animation has grown considerably from being a mere means to entertainment to an effective and excellent tool for eLearning. Since animation can be used to drive profound emotional quotient to the whole process of learning, the reception and comprehension of the learners will be much higher than with other traditional tools. As such, this article is aimed to tell you how animation can be effectively utilized in eLearning. When animation is talked as a means to improve the quality of eLearning, many professional dismiss the idea observing that it diminishes the value of the learning course and thus its credibility. This cannot be farther from truth especially if the content has been created with conviction and focus. If you have not yet thought about making animations an integral part of your learning and development efforts, the above given factors will convince you why animation must be used in eLearning. How animations can be effectively utilized in eLearning process is always up for debate. However, if effectively utilized, it has the potential to revolutionize and shape the future of eLearning. The following eLearning animation tips will help you understand how an eLearning service provider can provide different types of animation services to bring better value and effectiveness to the process of learning. By the very nature of animations, only when they are able to emote effectively with the learners, can it produce the result it aims to bring in. According to the subjects being dealt with, the animation must be able to adopt right tone and gravitas. If only the animation can reflect upon the nature of the subjects being discussed, can it educate the learners about the gravity of the situation. For example, when the learning process is discussing about dealing with hazardous objects or machineries, the animation must skip levity to adopt a more serious and emotionally adept tone that can educate the learner of the dangers of using the same in ways other than mentioned in the manual. All the elements such as the script, the choice of words, the music and the color palette used must all ensure that the situation is conveyed in the most suitable manner according to the situations being discussed about. There is no doubt that animations may fall pray danger to the pitfall of becoming confusing or chaotic if they are not managed properly. When it comes to eLearning through animation, if enough care is not taken, it may progress without much focus as there is no limit to what can be created with the help of the technologies available today. As such, it is important to ensure that no time is wasted on creating elements that bring no value to the learner and process of learning. Since the focus of animation in eLearning is to educate the learner, there is no need for the learner to be emotionally invested in the character or know its back story. Further, including elements that do not help the process of learning also must be avoided as they will not only act as a noise but also bring significant expense to the process of animation development. Despite being powerful and exceptionally effective, animations suffer from becoming passive at times. Since there is no option to physically engage or become a part of discussion, it runs the risk of making the learning process extremely passive. This is a grave issue that can be addressed by making the animation interactive and indulgent for the learners. This will give the learners plenty of options to be active and involved with the process of learning improving the effectiveness of the learning process. Even if your eLearning animation has the best and most impressive visuals, poor audio choices can instantly pull down the value of the same. What more, it can outright render the video useless and less-watchable. If you did not know, audio has an innate nature of being able to connect effectively well with the learners. Further, an impressive and suitable background audio can create the most effective and immersive ambience for the learners improvingthe quality of overall learning experience. One of the most important and crucial benefits of animation in eLearning is that it can help explain complex concepts and theories in simple and effective ways. Whatever may be the topic in discussion, the flexibility of animation can be leveraged effectively to explain the same in simple ways that can be understood and comprehended by the learners. For instance, if you are trying to explicate upon a rather complex trend changing with time, a static timeline may not do the trick—it may even confuse the learner. However, using an animated timeline with clickable options displaying slides about the reasons as to why the trend changes will help the learner understand the same quite effectively. When it comes to eLearning, the learner has full control over the way the eLearning course progresses. This makes it extremely easy for millions of professionals who access your course when they get free time to improve their skill forte. The learner, thus, must be able to pause, rewind, and fast forward the content as they please, choose and find convenient. If the learner is distracted or not able to understand a certain aspect explained in thecourse, they must always have the flexibility to go back to the course as many times as they want to take full advantage of the same and comprehend it. Learning does not have to be serious and grim all the time and it can always make use of a little levity at times. Animation, in this regard, can prove to be the best option available in the market now. With animation, the process of learning becomes a little more entertaining and effective at the same time. The tone of the animations used in learning will also set the tone of the learners and how they must approach the learning process. An effectively designed eLearning course with focus and engaging tone will spread the tone to the learners as well. If you use the capabilities of animation properly, it will help your bring your learning content to life with all its vividness and excitement. This will help the learners engage with the content better and more effectively since they can identify better with animated eLearning character who converse and interact with them. As such, character animation plays an important role in bringing content to life. When the learners, especially your employees, understand that the learning process is engaging and worthwhile, they will become open to future learning as well. 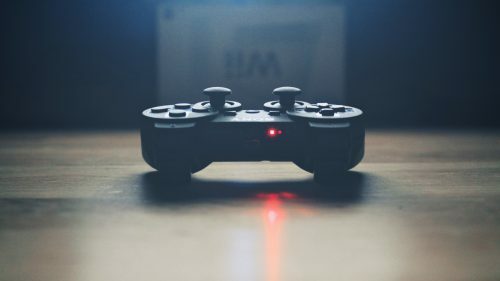 Since learning and development is a highly valuable and crucial element of a business’s growth, such a positive attitude of the employees towards eLearning and animation in training can steer the business towards better financial and growth prospects. There is no doubt that animation can render your learning efforts excellent and value-adding to you and your employers. 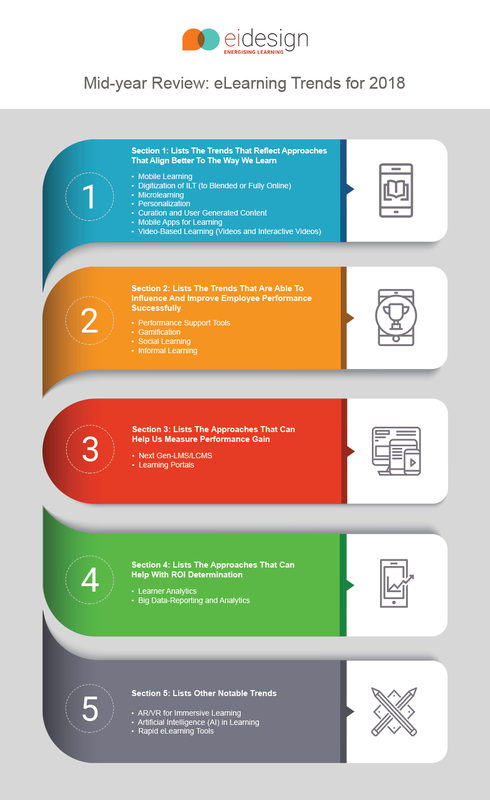 As such, while creating your eLearning modules next time, you can use these tips to improve the efficiency and value of the same. The post Animations in eLearning : Some important tips to know appeared first on eLearning. Have you ever imagined how a person with disability would access your eLearning course? May be you haven’t given a thought of designing eLearning in that perspective. But eLearning accessibility has been the industry hot topic now. And an eLearning course should be designed such that it works for everyone across the organization so that no one misses the training opportunities. 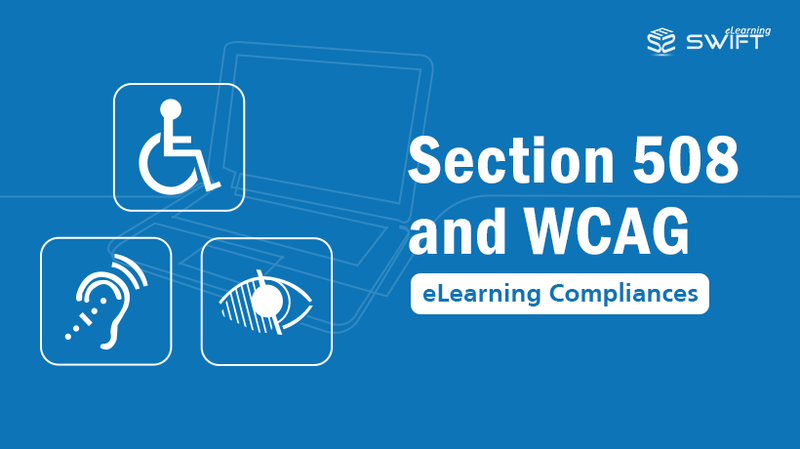 In this blog, we will discuss the eLearning course accessibility challenges and corresponding compliances – Section 508 and WCAG (Web Content Accessibility Guidelines). 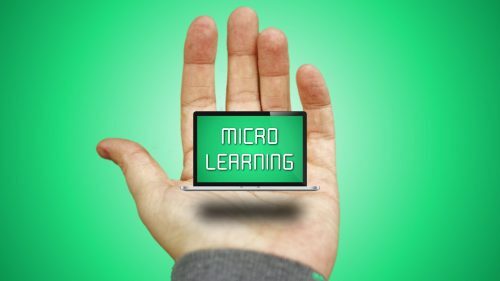 eLearning courses are not completely accessible to hearing or visually impaired learners – they miss-out some or major portion of the course content. And brings the need to create eLearning courses for differently abled learners. So as a learning designer we should know the challenges that Differently Abled Learners face while accessing the content. In particular to US residents, the Rehabilitation Act of 1973 and for global learners, the World Wide Web Consortium (W3C) has developed accessibility norms for differently abled. Section 508 and WCAG compliances in corporate eLearning development follow learner-centered approach to ensure your course is accessible to all. Section 508 is a law from Rehabilitation Act of 1973 that states U.S. Federal agencies to develop their electronic and information technology accessible to people with disabilities. WCAG is an international standard by World Wide Web Consortium (W3C) that suggests guidelines for making web content more accessible to people with disabilities. Note: Section 508 is a law in US, but WCAG is a recommendation for global learners. As Instructional Designers, we must not only consider the special needs of differently abled learners but be equipped with required expertise to develop an accessibility-compliant eLearning course that meets Section 508 and WCAG standards. We will come-up with more on Section 508 and WCAG accessibility compliances in our next blog post. So stay tuned. The post Section 508 and WCAG – Compliances to Increase Accessibility in Elearning appeared first on eLearning. 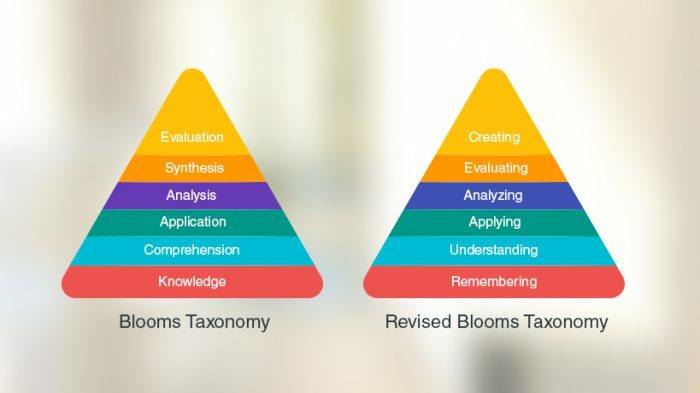 The post Understanding the basics of Revised Bloom’s Taxonomy application in eLearning appeared first on eLearning. The last 2 or 3 years have seen a terrific boom in various genres of content writing. We have noticed increased customer engagement due to excellent professional write-ups. Blogging, new as it is, has now come to the fore, making a big difference in the domain of content writing.